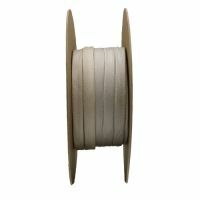 Select Size 24 AWG 22 AWG 20 AWG 18 AWG 16 AWG 14 AWG 12 AWG 11 AWG 10 AWG 9 AWG 8 AWG 7 AWG 6 AWG 5 AWG 4 AWG 3 AWG 2 AWG 1 AWG 0 AWG 3/8" 7/16" 1/2" 5/8" 3/4" 7/8" 1"
High quality equivalent to: Alpha Wire PIF-240, Ben-Har ST, Ben-Har ST 1250 (heavy wall), Varglas Non-Fray Type H, Hilec 210C, Hilec 220C (heavy wall). Our high quality heat treated fiberglass sleeves are equivalent to Alpha Wire PIF-240, Ben-Har ST, Ben-Har ST 1250 (heavy wall), Varglas Non-Fray Type H, Hilec 210C, Hilec 220C (heavy wall). 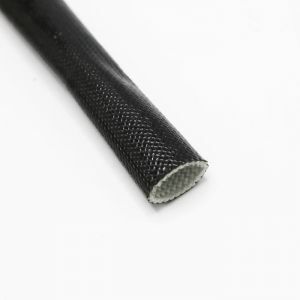 Fiberglass braided sleeving is commonly used in high temperature applications such as ovens, stoves, coffee makers, toasters, and other small heating appliances. With a good amount of flexibility, and a fair amount of expandability, fiberglass sleeving can be used for insulation of wires (up to 600V insulation), irregular shapes (e.g. coil insulation on rotating equipment), and thermal protection of insulated wires (e.g. fiberglass can thermally protect PVC jacketed wire that rests very close to a heat source).